Don't Make this Tree Pruning Mistake! Don’t Make this Tree Pruning Mistake! Trees, for the most part, take care of themselves. They don’t really require all that much maintenance. Yet they provide an endless array of benefits from shade to oxygen, and of course, beauty. But sometimes we need to trim and prune the trees to avoid causing property damage. Orlando Tree Service wants to make sure that your trees look beautiful and stay out of trouble this year. Before you start trimming and pruning away at the trees, check out these pruning mistakes you don’t want to make! 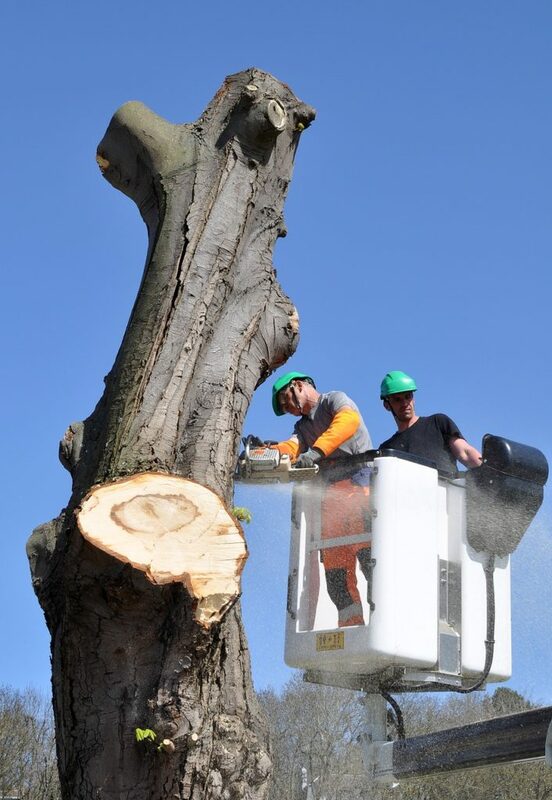 Topping involves cutting away a large section of the top of a tree’s crown. Or taking away all of the leafing branches across the top half of the tree. What you end up with is a very ugly top half of the tree. The tree also now has a weakened branch structure which can potentially cause damage in the future. Any professional tree service knows knot to top the tree but if you’re doing it yourself, you might not be aware of this. Did you know that there are good and bad times to trim a tree? Depending on the season and which way the tree is facing will determine how you should prune the tree. Pruning west-facing branches isn’t a great idea in the middle of the summer. When you remove large chunks of branches from the sun-facing direction you can actually cause the tree to get sunburnt just like people do. This is also known as sun scald and it can wound and damage the trunk bark, as well as severely damage your tree. Cutting too close to the main trunk can cause harm to your tree. Orlando tree pruning always makes sure to cut to avoid bark tearing or wounding a tree. If you have a bad cut, just like an open wound on the human body, it can leave the tree susceptible to harmful disease and damage. 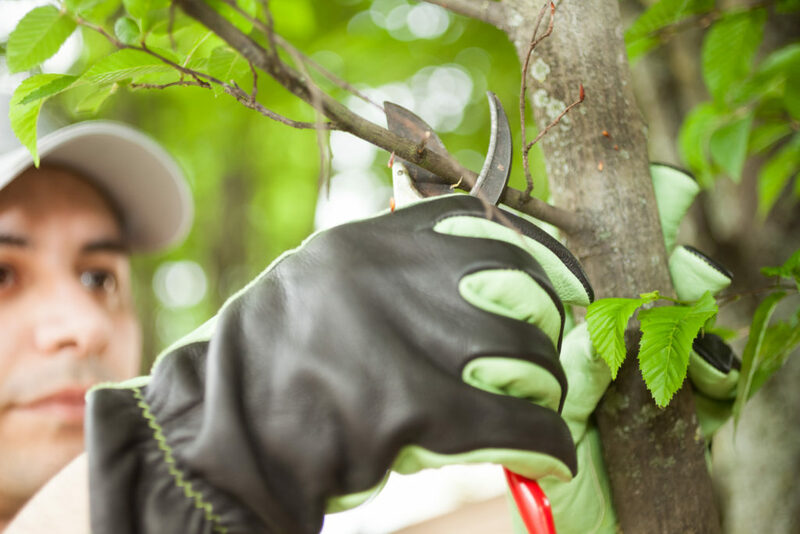 A professional will know where and how to cut a tree to prune it, however, if you’re deciding to do it on your own, you might have some issues. It’s best to just call us and we can get you a quote on how much pruning will cost. This will avoid creating a toxic, diseased tree that can spread to your other trees. Only 15% to 20% of a mature tree’s foliage should ever be trimmed off. Most of the time professionals like ourselves will only take off anywhere between 5% to 10%. When too much of the canopy is removed, it leaves the tree unable to produce enough food, transfer nutrients, and structurally support itself and stay sound. This is one of the most common pruning mistakes as it’s easy to do if you’re not familiar with proper pruning techniques. This is also known as lion’s tailing or broccoli trees. This happens when you remove too many large lower branches in an effort to raise the canopy to grow more turf grass. This ends up with the tree having a bare trunk and a small amount of foliage left up top. Again, if the tree doesn’t have enough foliage it cannot properly support itself both structurally and internally. It’s easy to take your trees for granted because they typically do so well on their own. But, trees provide so much beauty and enjoyment, which is why they’re so valuable and anything worth value is worth taking care of. If you’re struggling to maintain your tree’s health, we can help. Our wide number of tree trimming and landscaping service can help keep your trees healthy and your lawn looking beautiful. If you need help with a tree in your yard, call us the Orlando Tree service experts! For years, we have been Orlando’s answer to everything from tree maintenance and care to tree removal. We can easily handle trimming, cutting, removing, and all your shaping needs. There is no tree too big or too small that we won’t handle. No other service in town is as committed to your happiness and the beauty of your tree and property as we are. We never price gauge and we never hide costs from you because we believe in 100% pricing transparency. Schedule an appointment today with us!